THE BEST DOUGHNUTS IN TOWN! 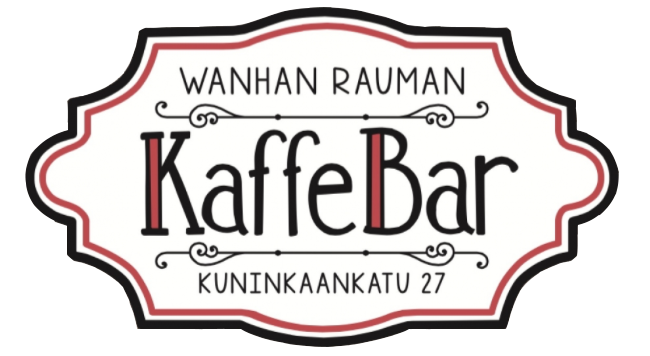 Wanhan Rauman KaffeBar locates in the heart of the Old Town of Rauma. In our café, you can feel the heritage of the Old Rauma while enjoying our freshly-baked sugar doughnut called munkki. We serve also a lot other things, such as fresh-grounded coffee, sweet pastries, savory treats and salads. In our drink menu you can find all from speciality coffees to alcohol beverages to cool you down in summer or warm you up in the winter time. We warmly welcome you to KaffeBar! The Salad Bar closes one hour before we close the café! In case of changes, we are informing on our Facebook-page!